What do you do when you get tired of being tired? You go to the only One who can refresh you. The only One who can pick you up when all the pieces of your life have seemed to come unglued. 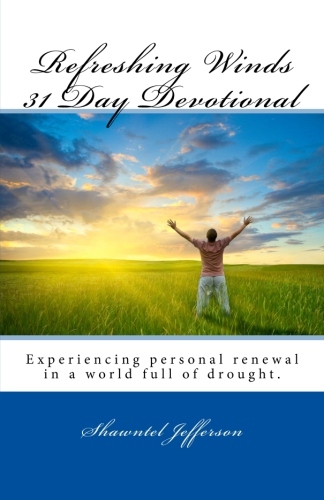 Author Shawntel Jefferson brings you the Refreshing Winds 31 Day Devotional. Jefferson encourages readers to turn to the Lord when tiredness sets in and stress vies to take over. Allow yourself to be restored and comforted by God’s refreshinng winds. You can purchase a copy of Refreshing Winds 31 Day Devotionalhere.